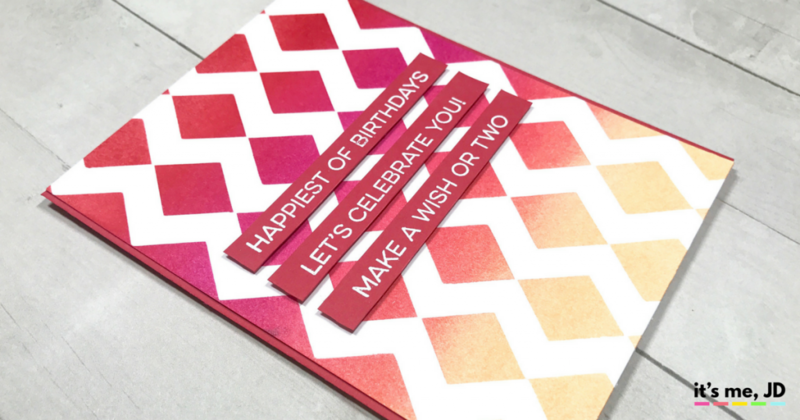 I had some leftover chevron masking paper this previous card and decided to use it for this birthday card. This time I wanted to create a unique pattern with the leftover masks. Then I blended some distress inks over top of the masks. With such a busy background, I wanted to keep the sentiments simple. So I used this stamp set from My Favorite Things (MFT) to make a birthday card. 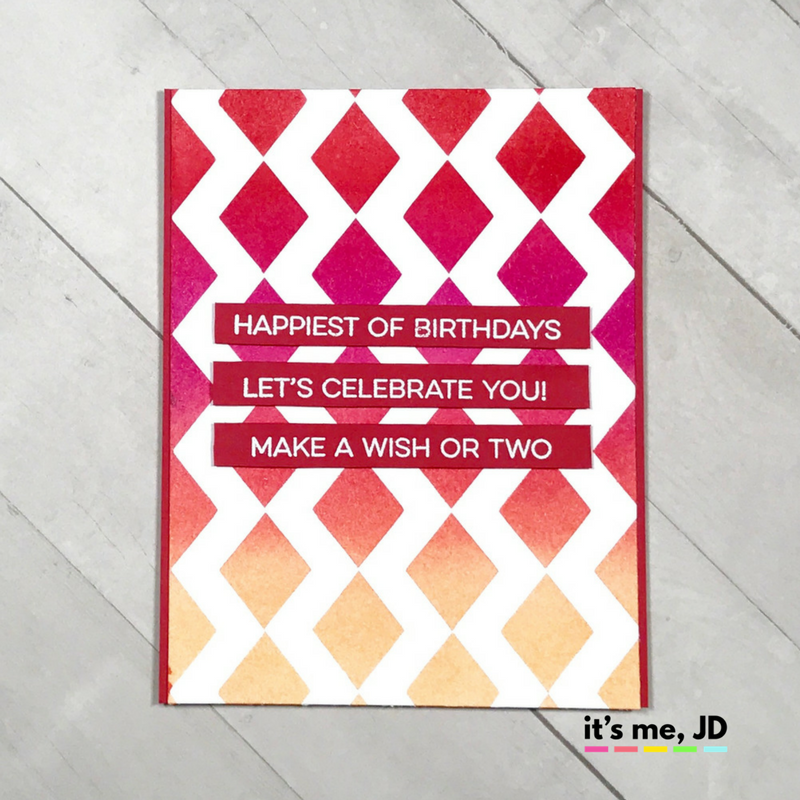 I heat embossed the birthday sentiments on some coordinating cardstock. 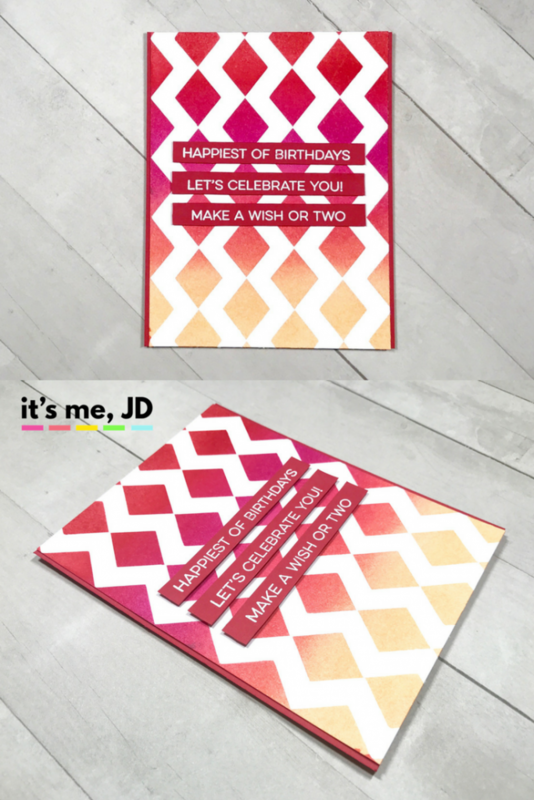 Then I mounted the card front on the rest of the coordinating cardstock.